There are so many perks to staying at an on-property Disney World hotel that will make your vacation easier and more enjoyable. Because of this, most people think they will have to spend a small fortune to stay at a Disney World resort hotel. But that is simply not true. There are many ways to get cheap Disney hotels, and I’m sharing my top five ways to find deals on Disney Wrld hotels below. 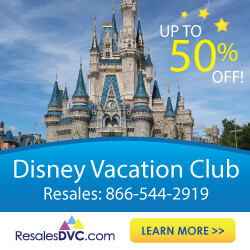 I regularly save 50-70% off of Disney’s “rack rates” with these strategies! I’ve even stayed at a Disney resort for $42/night with one of these tricks. And don’t fear – you will get Disney World resort benefits with ALL of these approaches! You will still get access to Extra Magic Hours, early FastPass booking, free Magical Express airport transfers, and everything else that is included with a Disney World resort stay when you book directly with Disney. Check out my list of the best ways to find cheap Disney hotels and stay at one of Disney’s magical on-property resorts. I regularly use these strategies to get cheap Disney hotels. This allows me to visit Disney World and stay at on-property resorts many times per year, even on a tight budget! 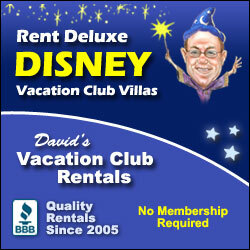 Renting DVC points is my #1 strategy to save money on Disney Deluxe Resorts. I save up to 70% on stays at the best Disney World on property resorts such as Animal Kingdom Lodge. 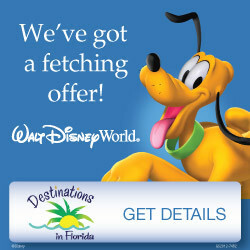 I save up to 50% on Disney World on-property hotels using Orbitz promo codes. Here's everything you need to know. Most people think don't think of the popular Free Dining offer as a way to save on your hotel room, but it is actually just one of Disney's ways to offer discounted hotel rooms. You can easily save 50% or more on Disney World hotel rooms booked as part of a Free Dining package. Get all of the details here! Though it won't work every day of the year, you can sometimes find Disney World hotels as "Mystery Hotels" on Hotwire and Priceline. I've used this trick to stay at an on-property Disney World resort for $42 per night - an insane deal! Learn how to find Disney hotels at a steep discount in this post. No matter how you are going to book your Disney World resort hotel stay, you can do find the cheapest dates and check availability with this hack for mobile devices. It has been a game changer for me. Do you know a Disney World fan who would love to learn these tricks for finding cheap Disney hotels? Please share this post on Facebook or pin it to Pinterest to spread the word!